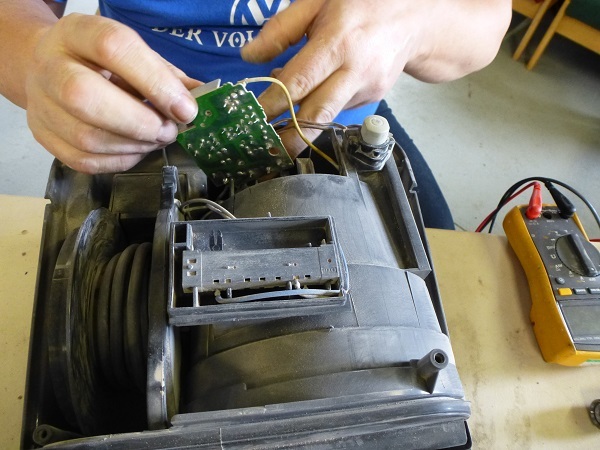 Alston Moor's getting a fix thanks to repair cafes through the Greenprint project. Reducing waste is at the heart of a sustainable community, and that’s what these fun, social events are all about. CAfS is running four repair cafes across Alston Moor, hopefully laying the groundwork for them to continue into the future. We’re organising them on behalf of Alston Moor Partnership, made possible by funding from Cumbria County Council and the Esmée Fairbairn Foundation. It’s an event where you bring along broken things, and volunteers from your community do their best to fix them for you. They’ll also show you how to do the repair, so you can gain new skills and perhaps be able to fix your broken items in the future. The repairs are free of charge. Donations are welcome, to help cover costs like venue hire. It’s also a social event, as the name suggests. It’s a chance to have a cuppa and a cake and meet people from your area. We held the first Alston Moor Repair Cafe during the Greenprint Festival in September 2017, as a trial. It worked really well, so we got busy planning a series of four events across the area during 2018 and 2019. Volunteers have been fixing everything from holes in sweaters to vacuums that have given up the ghost. They’re able to look at electricals, textiles, electronics, IT and software, plumbing and mechanical goods, among other things. “We’ve all got things languishing in the back of the cupboard or lying in the garage that need a repair, but sometimes it can be tricky to find someone to fix them and it can be costly, too,” said Roe Baker, the Alston Moor Greenprint manager at CAfS, who’s organising the events. We’re very grateful to all the volunteers who’ve come forward to help, and we’d still love to hear from anyone who’s got the skills to fix things, as we’re building up a pool of volunteers. Bring along broken goods and our volunteers will have a go at fixing them. Mechanicals, electronics, IT, ceramics, textiles and clothes, jewellery, watch battery fitting, wooden furniture, tools, etc. A great community event with lovely food and atmosphere. 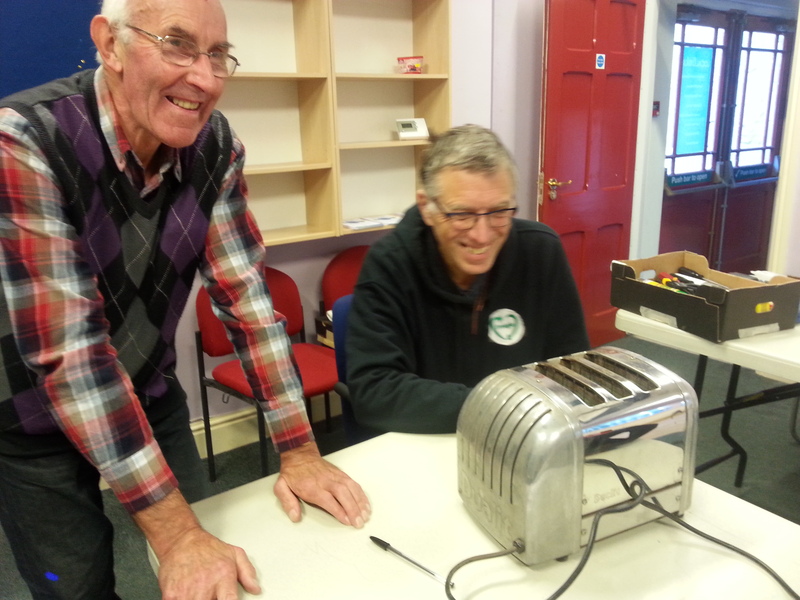 If you can, then Alston Moor Repair Cafe needs your help! Whether you’re handy with woodwork, electricals, IT kit, clothes repairs or crafts, you could help people in your community to learn how to fix things and keep useful goods from being thrown away. It won’t take much of your time. The cafes last just three hours, and they happen once a quarter or so. Get in touch now to find out more. Email roe@cafs.org.uk or call 01768 210276. The repair cafes are part of the Alston Moor Greenprint. Find out more about this exciting three-year project, funded by the Esmée Fairbairn Foundation.